If you’ve never had acupuncture treatment before, you may have questions about the procedure and what you can expect. Endpoint Wellness is happy to answer these and any other questions you may have. Acupuncture is an ancient practice that is still effective in modern times. Its origins trace back several thousand years to ancient China, where practitioners identified energy pathways in the body. The body’s vital energy, or qi, travels through these paths, and it can become unbalanced in life due to stress, illness and injury. Acupuncture restores balance to the qi by manipulating energy pathways, called meridians, allowing your body to heal. Although science is still exploring what makes acupuncture so effective, it has been shown repeatedly to be a highly effective and safe form of holistic medicine. Acupuncture treatments utilize small, hair-thin needles carefully inserted into acu-points throughout the body. These needles work to gently manipulate the energy pathways within the body. Many first-time patients are anxious about needles, but acupuncture needles are very different from hypodermic injections. They are much, much smaller – about the size of a strand of hair – and slightly flexible. Most patients hardly notice the insertion of the needles. What you may feel during your treatment is an “electrical” type stimulation or a heavy, achy pressure spreading or traveling through your body. Most patients find these sensations deeply satisfying and relaxing. New patients are often concerned about the safety of acupuncture and worried that it might hurt. We are happy to put your mind at ease about both these fears. When performed by a certified Doctor of Oriental Medicine, acupuncture is entirely safe. We use sterile, single-use needles and insert them precisely into pressure points. The needles are extremely thin and are not inserted deeply. There is no blood or pain associated with acupuncture, just a feeling of pressure that may radiate or spread; many patients find this sensation deeply relaxing and pleasant. Other treatments, like Microlight, do not use needles at all. Unlike pharmaceuticals, it does not have side effects and can be safely used by pregnant women, lactating mothers, patients with compromised immune systems, and others who may not be able to or wish to receive other treatments. When performed with single-use, sterile needles as in our practice, there is little to no risk of infection or complication from acupuncture treatment. As a holistic treatment for whole-body wellness, acupuncture has been practiced for thousands of years. It is well-respected by the medical community, and treatments are often covered by insurance. Acupuncture is consistently more effective than the placebo effect in scientific trials, and it has even been used successfully in treating pain conditions in animals! Will Acupuncture treat my condition? The World Health Organization (W.H.O) recommends acupuncture as a treatment for many things, including respiratory diseases, dental pain, orthopedic disorders, neurologic disorders and gastrointestinal disorders. Acupuncture is generally very good at managing the symptoms of chronic and inflammatory conditions. It can improve the immune system and reduce systemic inflammation. The needles used in acupuncture are very thin, about the width of a hair. There is little to no discomfort associated with their insertion. During treatment, you may experience a feeling of achiness or pressure spreading through the body; this is a natural effect of the qi manipulation, and most patients find it to be relaxing and deeply satisfying. If you have never had acupuncture treatment before, it’s natural to have questions about the process. At Endpoint Wellness, we are happy to answer your questions, ease your fears, and help you decide if acupuncture is right for you! Acupuncture is generally safe and free of side effects, is not habit-forming, and works with your body’s own regenerative powers to manage symptoms and treat a variety of conditions. When performed correctly, acupuncture has no risks or side effects. Certain issues, like infection and nerve damage, are the result of improper sterilization and technique. 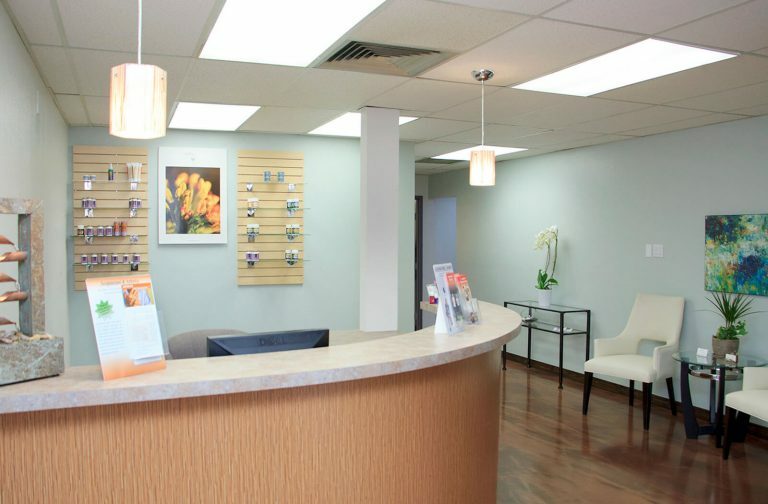 At Endpoint Wellness, our certified Doctor of Oriental Medicine ensures that proper technique is always followed, and all needles are single-use and sterile. Additionally, electro-acupuncture is not recommended for some patients with heart conditions, including those who use pacemakers, but traditional acupuncture is safe in these cases. The needles used in acupuncture treatment are very thin and are inserted to a shallow depth in the skin. There is generally no blood or pain, although patients may feel a mild discomfort or achiness. The sensation of qi manipulation feels like a pressure or warmth spreading or radiating through the body. Some patients also report a sensation like an electrical charge, although this is less common. MicroLight therapy is a treatment utilizing micro-current and color light therapy. It helps to promote healing, offer pain relief and reduce inflammation. We use it frequently for pain management and sports medicine, and it works well on its own or in combination with traditional acupuncture techniques. MicroLight therapy uses the gentle vibrations of micro-current and visible light to manipulate your vital energy, achieving many of the results of acupuncture without the use of needles. Acupuncture involves the insertion of tiny hair-thin needles into specific points of the body as a method of manipulating the flow of vital energy, or qi. It activates your body’s own powers of healing and rejuvenation, reducing inflammation and boosting blood flow. In sports medicine, acupuncture is frequently used in injury recovery and therapy. It is also used by many elite athletes as a method for managing stress and anxiety before events as well as muscle recovery and rejuvenation afterward. Systemic inflammation, stress, and a build-up of toxins can all contribute to the appearance of aging. Acupuncture can counteract these effects, creating younger-looking and healthier skin. Cosmetic acupuncture works by manipulating the acu-points associated with the face and skin, balancing the flow of energy through the body. To further improve the effectiveness of our cosmetic treatments, we also offer Chinese herbal medicine supplements for skin health as well as spa treatments from a licensed esthetician. We are focused on whole-body wellness. Through nourishing your mental and physical health, we can bring greater balance to your life. We offer a combination of therapies, so you can receive the treatments that best fit your needs, whether you want to look younger or overcome an injury. You can learn more about the types of acupuncture we offer on our website, or you can schedule an appointment to speak with our Doctor of Oriental Medicine directly. Contact us today to set up an initial consultation; we’ll be happy to answer your questions!